One of the many benefits to Marriott Rewards is receiving an upgraded room. Unlike other hotel Loyalty programs, top-tier elites and mid-tier elites are not guaranteed an upgraded room. Furthermore, top-tier elites do not receive upgrade certificates, thus making suites and nicer rooms slightly harder to come by. Marriott Reward hotel partners do upgrade elites, but it is dependent on availability and hotel discretion. I have been traveling a lot lately and I have noticed that my upgrade displays in my Marriott smartphone app. It’s not obvious when I am upgraded, but if I pay close attention, I can see the upgrade. Here are just a few examples from my app from the last several months of travel. When checking into the Moxy, my room type was King Guest Room, 1. Upon notification that my room was ready, my new room type was an upgrade! A King Studio with a balcony and pool view! Out in Grand Rapids, I also had a good experience. My first stay at a Delta hotel and another upgrade! The room I made a reservation for was a standard King. The app later told me my room assigned was a one bedroom suite! Now that’s a suite upgrade! When staying at the autograph collection in Orlando, my room was also upgraded. The tower rooms are their nicer rooms with more space. In the Asia-Pacific region, upgrades are more common. I was still excited to see my upgrade before getting to my hotel in Sydney last November. Once again, via the app! If you want to know if you have been upgraded on your next Marriott stay, check-in via the app! Then once the app sends a notification that your room is ready, you can see what type of room has been assigned. 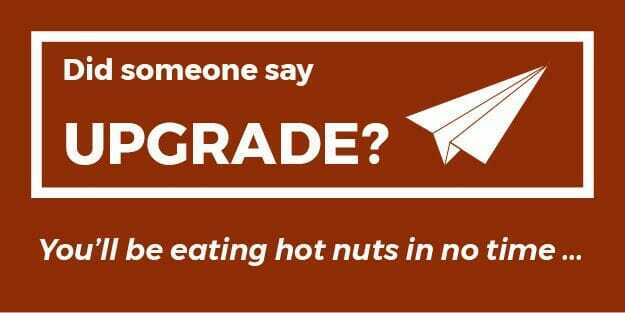 You might be surprised, you really were “upgraded”.